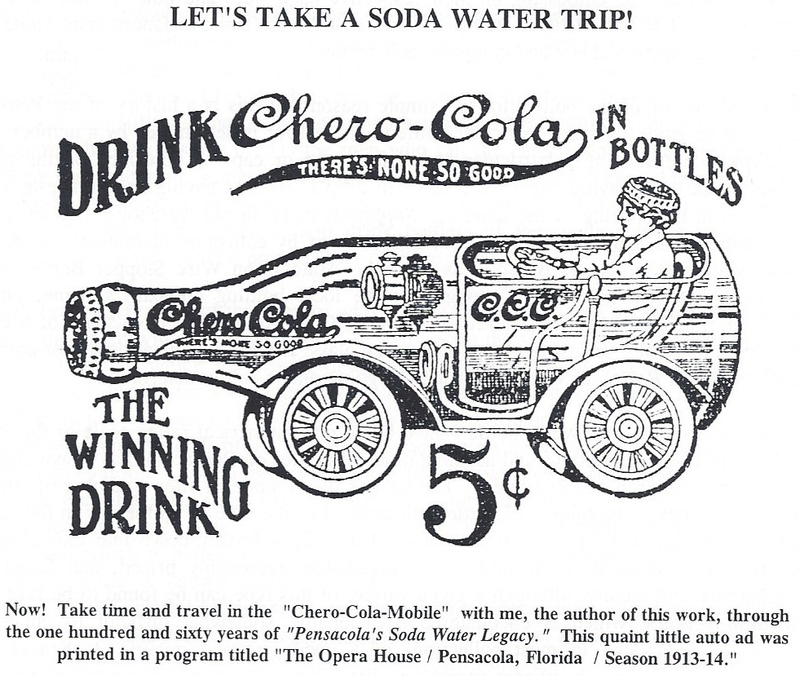 This historical account of the early soda water fountains and bottlers of Pensacola, Florida is the culmination of twenty-five years of research. 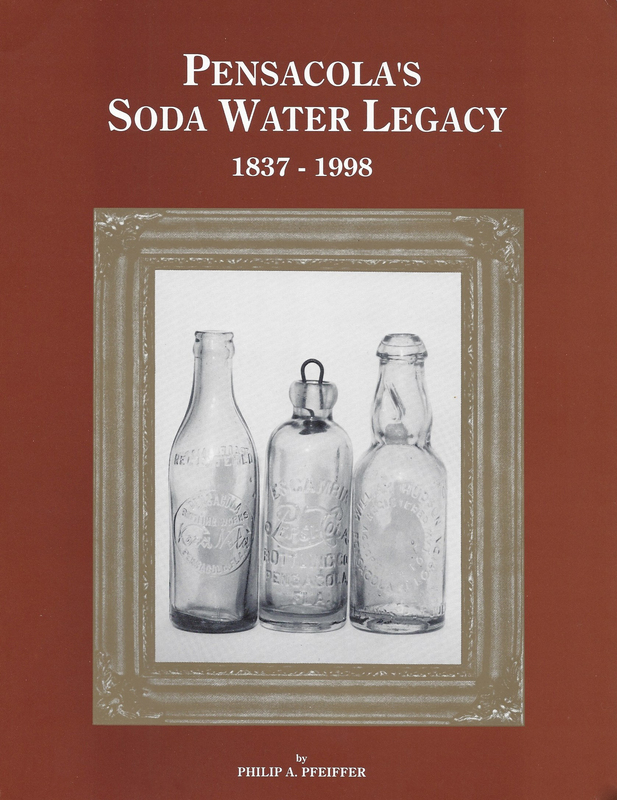 The book is a comprehensive history of: (1) the men who ran the early soda fountains in Pensacola before the business of bottling soda water and mineral water came into practice; (2) the men and companies who bottled soda water, mineral water, and seltzer water in Pensacola from 1866 to 1913; and (3) a listing of the later soda water or soft drink bottlers of Pensacola starting in 1913 to 1998, but is somewhat brief in regard to information on a number of those listed. 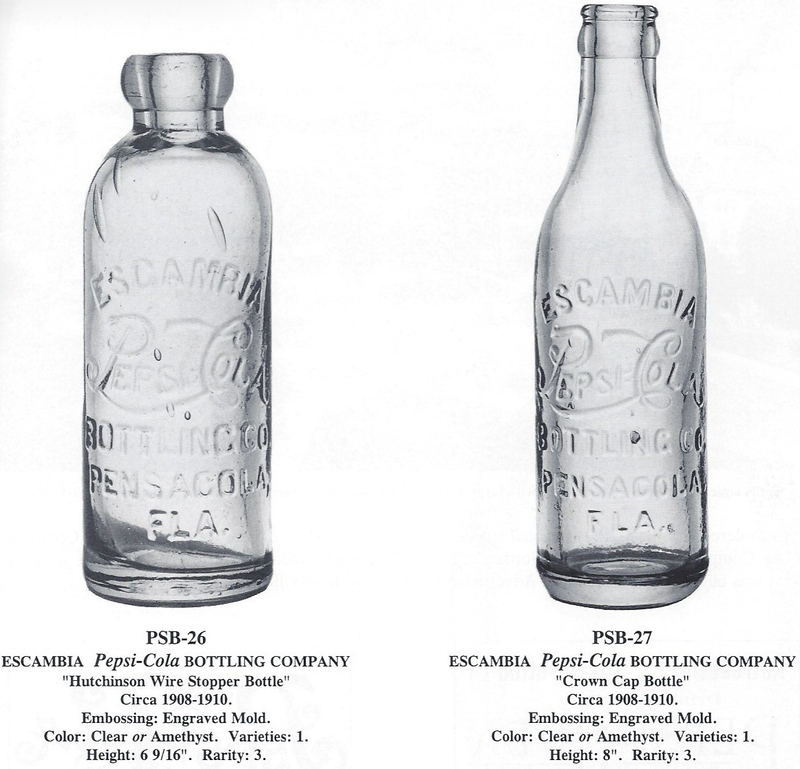 An identification number containing the letters "PSB," which stands for "Pensacola Soda Bottle," has been assigned each of the pictured bottles and used to designate bottles discussed in the text. 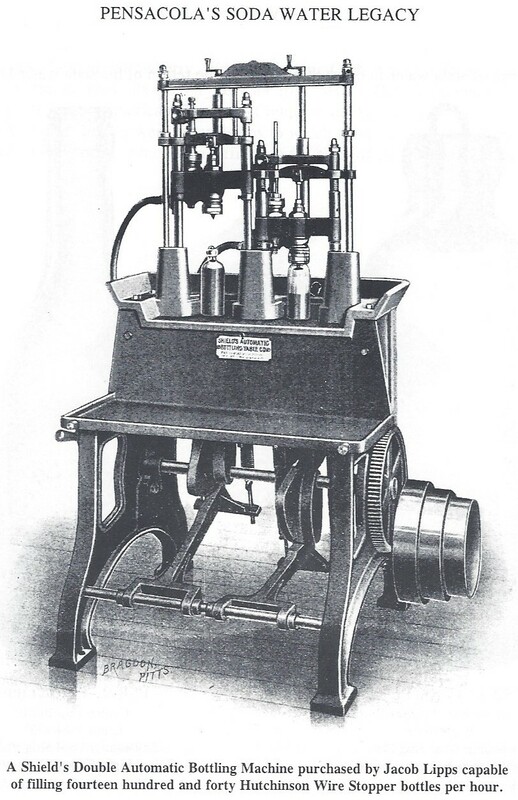 Statistical information accompanies the illustrations, such as a bottle's color, height, number of varieties, and rarity. No value is placed on any of the bottles as this is a history of the Pensacola bottlers and not a collector's price guide. What a particular bottle might sell for is determined by interwoven factors such as type, variety, supply, demand, condition, color, embossing, and rarity. 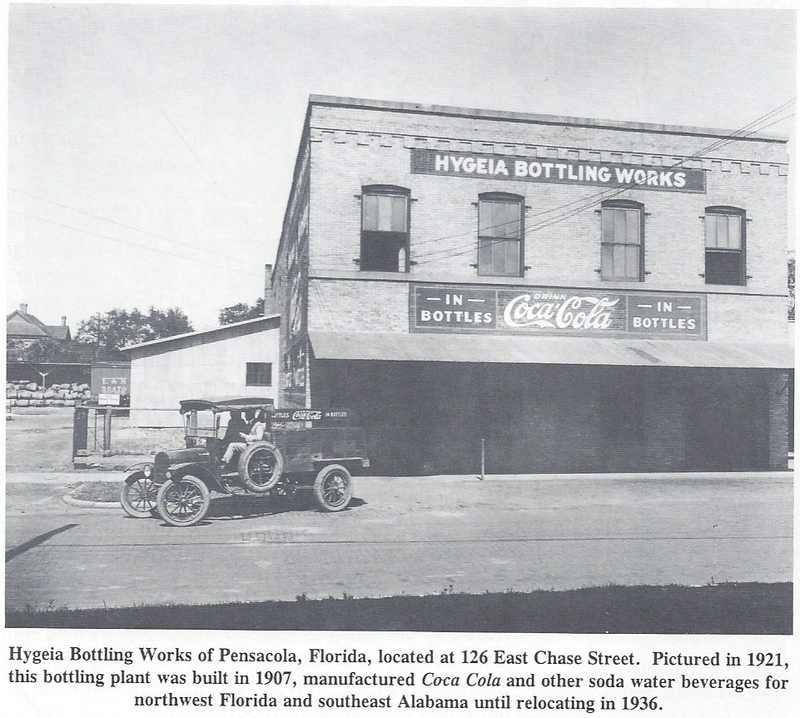 The rarity of a given Pensacola soda water bottle is based on a numerical rating scale of the number known of a specific bottle in all of the collections and accumulations of bottles on Pensacola that I have encountered over the years while doing my research. Price: $19.95 plus $6.95 for shipping via a USPS Priority Mail Flat Rate Envelope including tracking and insurance. All books are packaged with rigid inserts.